NEW AND IMPROVED SECOND GENERATION TRAY ! 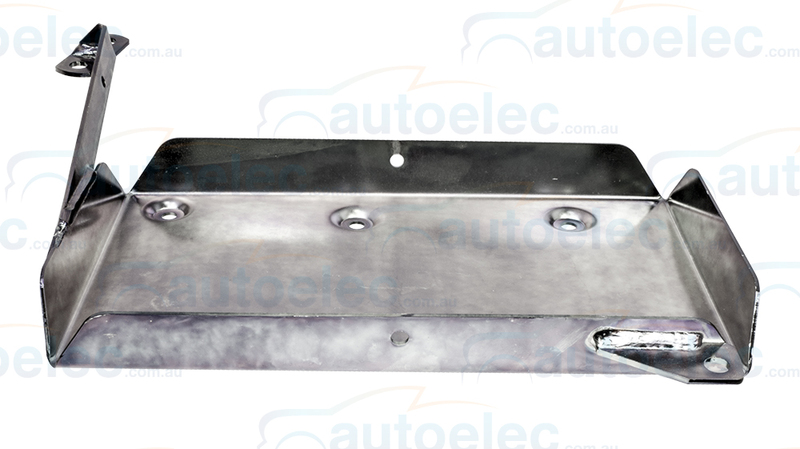 1, Attractive silver non corrosive plating treatment: Though more expensive than the "gold" colored finish or powercoated finish to produce , This tray looks ( in our opinion ) far better in the engine bay and does not chip with no compromise to the corrosion resistance. 3, Improved top bracket: Along with the tray now having rounded corners , we have also rounded the corners of the top bracket. 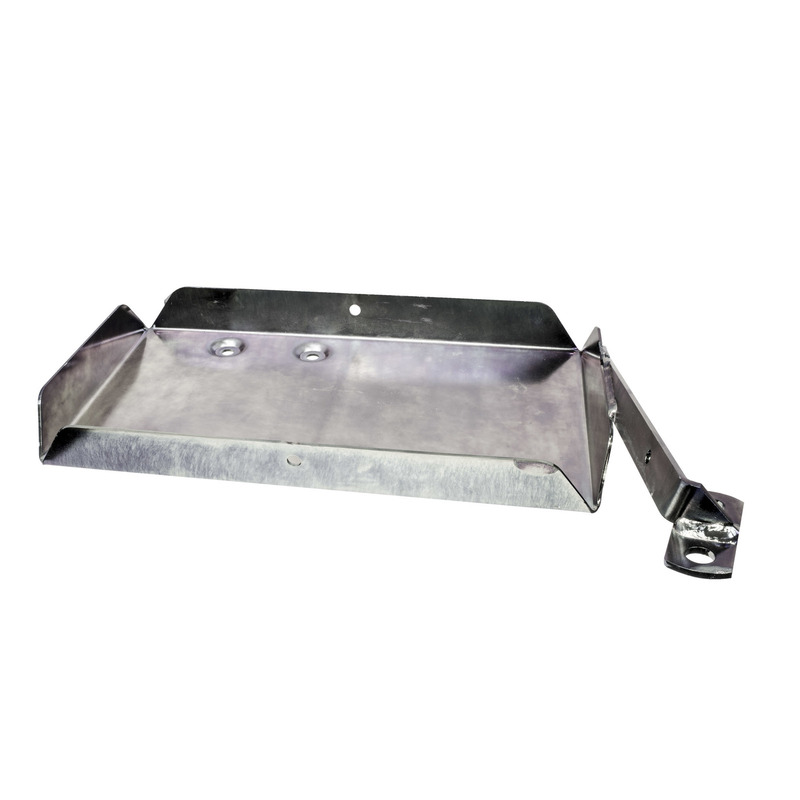 4, Longer hold down bolts: As many batteries vary in size vertically and may have obstructions such as caps or vents in the top that require a longer bolt ( either one or both ) , we now supply longer 248mm bolts* with 92mm of thread that overcome this problem. 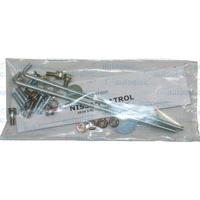 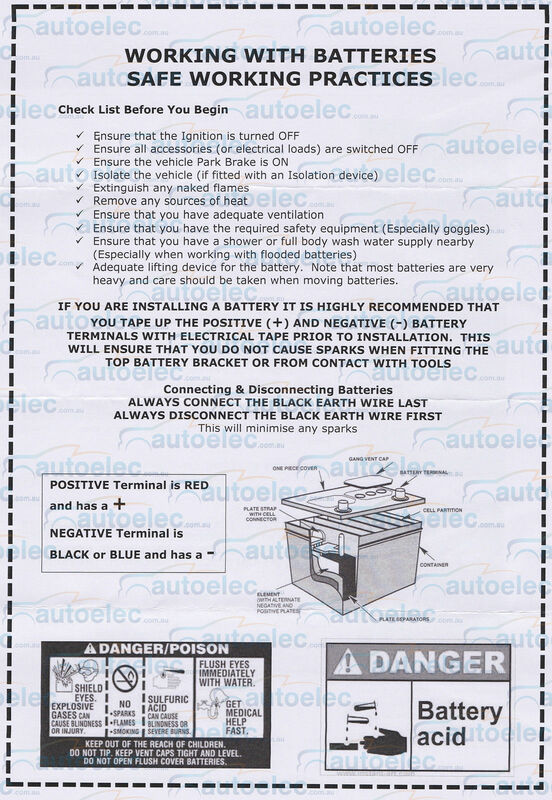 *Note: These bolts will require shortening as the way they are supplied they are too long and will come into contact with the inside of the bonnet or the insulation attached to the underside of the bonnet if left at their supplied length. 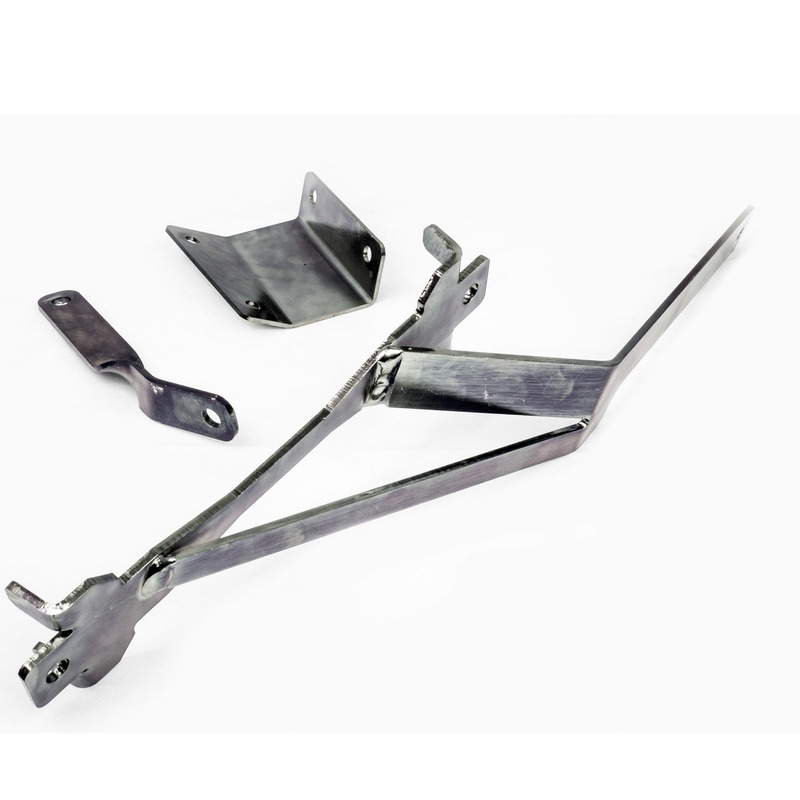 5, Bigger diameter hold down bolts: A major flaw in many battery trays is too smaller diameter hold down bolts that can fracture or bend when tightened up .We have upgraded the bolt diameter from 4.5 to 6.5mm to overcome this. 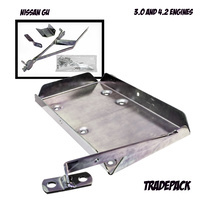 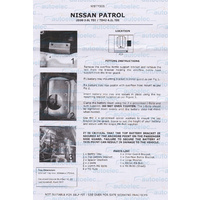 This battery tray fits all Diesel GU Nissan Patrols both 3.0 and 4.2 engines WITH FACTORY INTERCOOLERS. 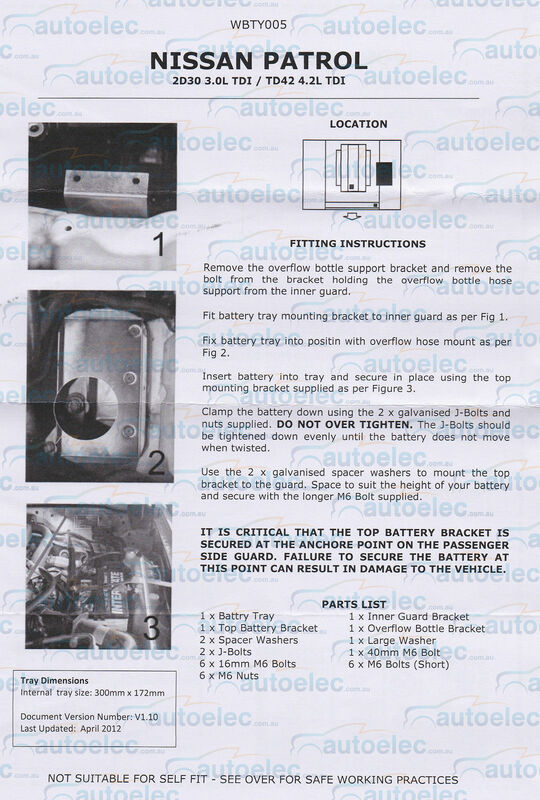 The battery tray is located in the passenger side middle of the engine bay. 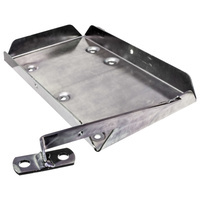 This tray accepts a 12"( 303mm x 173mm app) battery such as an Exide ED5 deep cycle battery or Exide ST27DC95 , OPTIMA D27 , though others will fit. 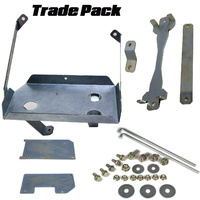 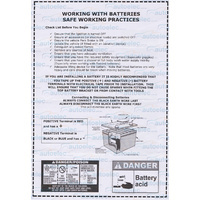 These are a generic branded trade grade battery tray kit . Each model tray goes through stringent engineering, prototype development and vigorous off road testing before being offered to market. 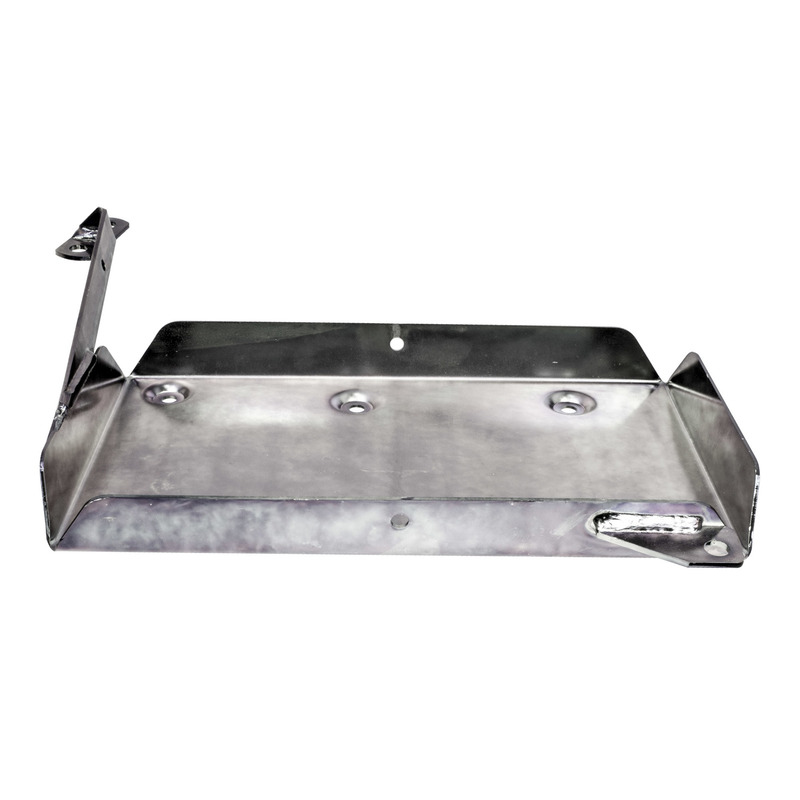 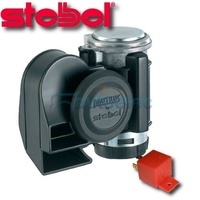 Each tray is made from plated steel with high sides, top mounts and a pressed base. 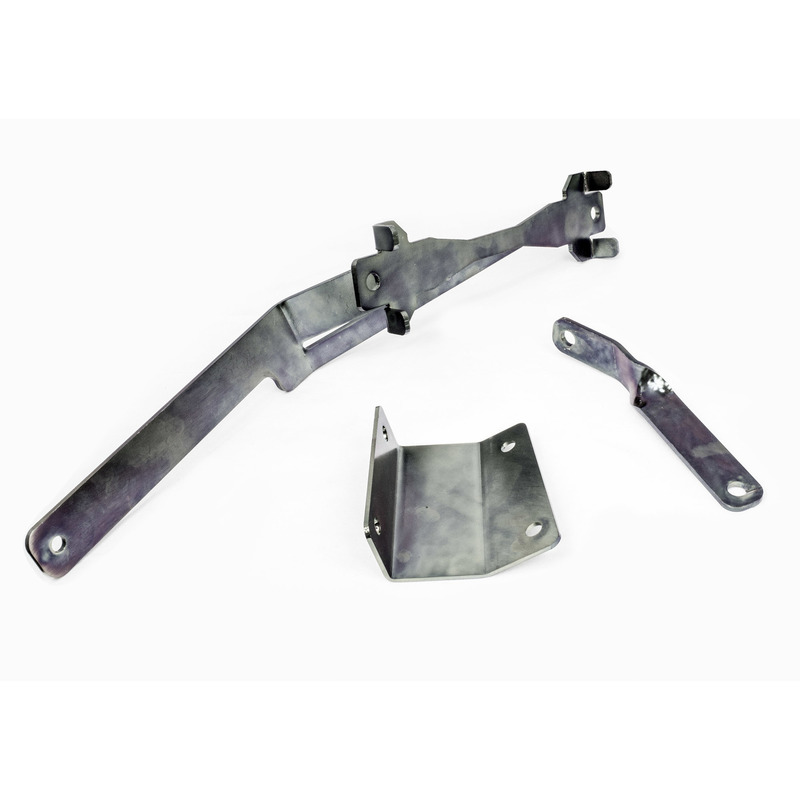 Plated steel is resistant to corrosion, relatively light and provides extra strength and support for long term reliability. 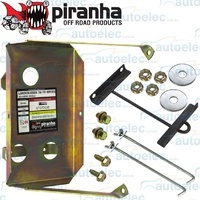 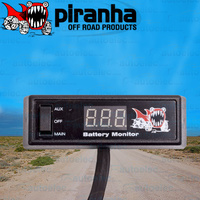 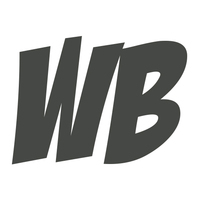 Each design is created to provide the maximum possible battery size while maintaining strength to keep the battery in place, even through the toughest 4WD conditions. This tray is not suitable to self fit unless you have extensive mechanical and electrical experience. 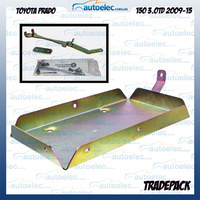 If in doubt about the right tray to purchase for you vehicle contact us through eBay first and we will assist.